Have you ever wondered whether you could make other things in your Rice Cooker? Here are some simple rice cooker recipes which don’t involve rice. There are savory recipes and sweet. Something for everyone. Turns out, there are loads of easy non-rice recipes you can make in this kitchen appliance that most people have sitting in their pantry cupboard at home. It’s time to make use of you rice cooker with these simple rice cooker recipes. You could actually use it every day of the week to save yourself time. It also saves having to heat up a whole oven for baking. And for dinners, you don’t need to stand at the cooktop watching every minute to give the pot a stir or avoid a boil over. You can bake a lovely fluffy cake in a rice cooker and if you only want a smaller cake it still lets you get good height. If you use a pan for a smaller cake you’re often left with a low, flat cake because the pan was too large. With so much variety in recipes, I’m thinking a rice cooker would make a wonderful gift for a wedding present, for Mother’s Day or even for someone going to college. You could even include a collection of simple rice cooker recipes, not for rice, with the gift. There is a huge range in rice cookers. If you’re interested in finding out more about the new induction heating rice cookers, Click Here for more information and reviews. So, what are your best attempts at cooking new recipes in your rice cooker? Do you have a basic rice cooker or a fancy induction heating rice cooker? 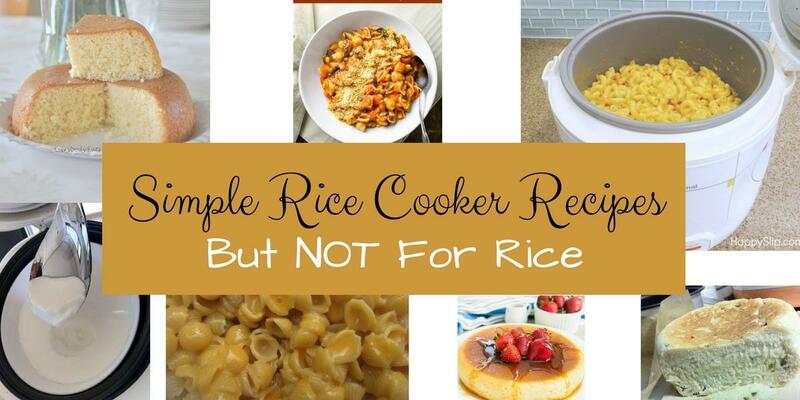 Have you tried some of these simple rice cooker recipes, not for rice? Can you imagine making such a beautiful light cake and not even having to turn on your oven. Maybe you don’t even have an oven! 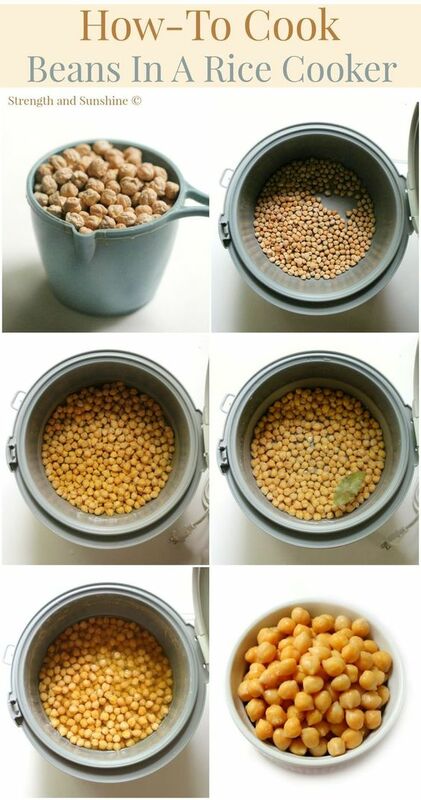 How easy to use your rice cooker. This is the reason you need to explore simple rice cooker recipes for sweet treats. I used to think I could only make sweet rice pudding for dessert in my rice cooker. I was so wrong! Now I make loads of different sweet recipes in my rice cooker. Such a treat! And the whole family loves them. Take a look at the recipe here. These delicious pancakes are often called Japanese pancakes. Using simple rice cooker recipes like this one for pancakes really makes you appreciate how easy it can be done. They are larger than the pancakes you’re used to making because they’re made in a rice cooker. You can put the same tasty toppings on them like maple syrup or whipped butter or fruit. If you don’t feel like making the recipe from scratch you can even use a pancake mix in your rice cooker. See here for the recipe. Honestly, pancakes is one of the easiest of all the simple rice cooker recipes you’ll find. Try it today. I love having so many different uses for my rice cooker. This creamy delicious yogurt is made in the rice cooker (here’s how). 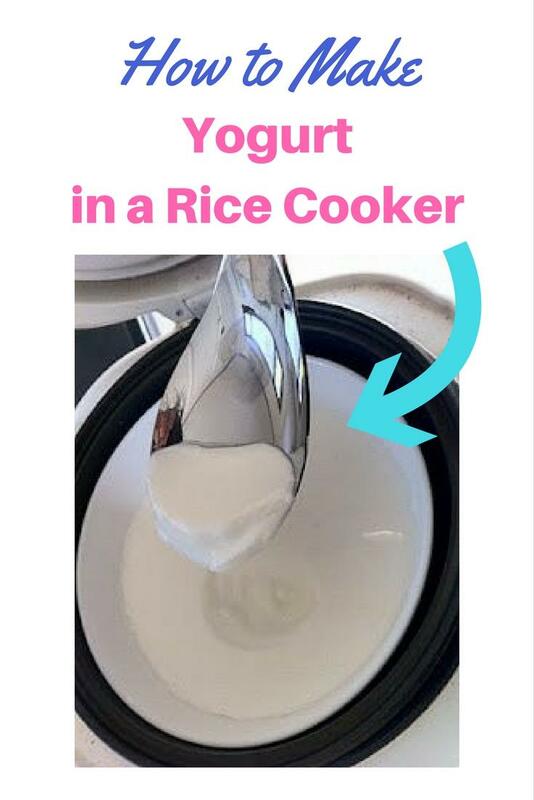 To start using simple rice cooker recipes, try this one for yogurt, especially if you’re not into baking or pancake making like the suggestions above. There’s no need to own a separate yogurt maker and other appliances when you can do so many things with a rice cooker. The great thing about making yogurt at home is that it is fresh and nutritious because it hasn’t been sitting on a shelf for an unknown number of days before you take it home. I also love the way I don’t have to cart loads of heavy yogurt tubs home from the store. My children go through lots of yogurt so we use a lot every week. This is such a great idea. So easy and so tasty, you’ll want to make it again and again. If you’re in college this may turn out to be your favorite recipe! 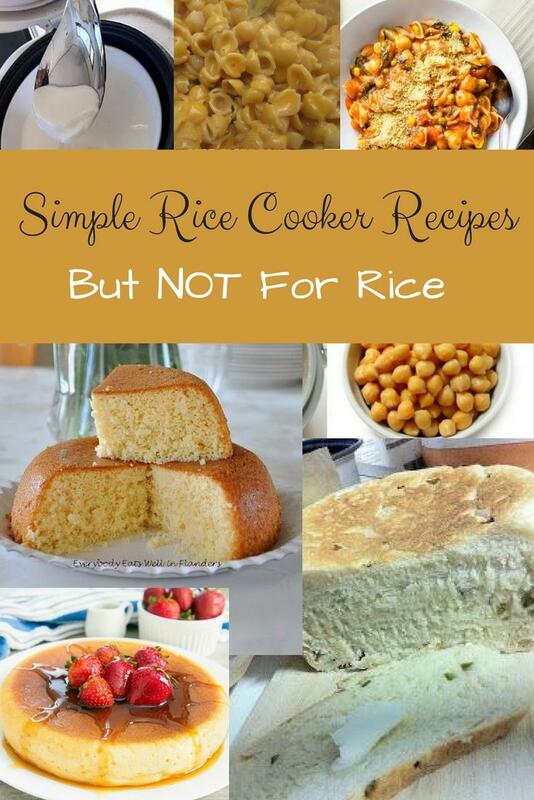 But you really should try the other simple rice cooker recipes, you know you’ll love them! My children love this recipe. And there’s an added benefit. 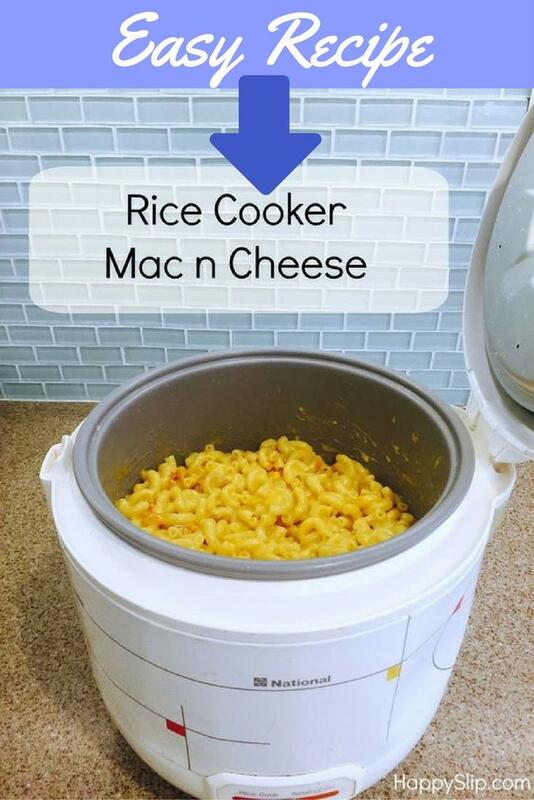 When you use a rice cooker to make Mac’n’Cheese from basic ingredients you are actually eating healthier than buying it in a packet with all those nasty additives. Try this recipe and you’ll never go back to packet bought Mac’n’Cheese again. Try the recipe here. I think this is one of the best recipes anyone can have for a quick mid-week dinner. It needs only minimal preparation. Using frozen vegetables and a jar of pasta sauce your rice cooker will turn you pasta into a nutritious meal that actually tastes good. I’ve never met anyone who doesn’t like pasta. I know it’s one of my favorites. I just can’t believe I wasn’t using my rice cooker years ago to cook pasta. It really is quite simple to do. It’s good to know this recipe is vegan and it’s gluten free if you use gluten free pasta. Even if you’re not vegan, use it for a meat-free Monday meal. Have a look at the recipe here. 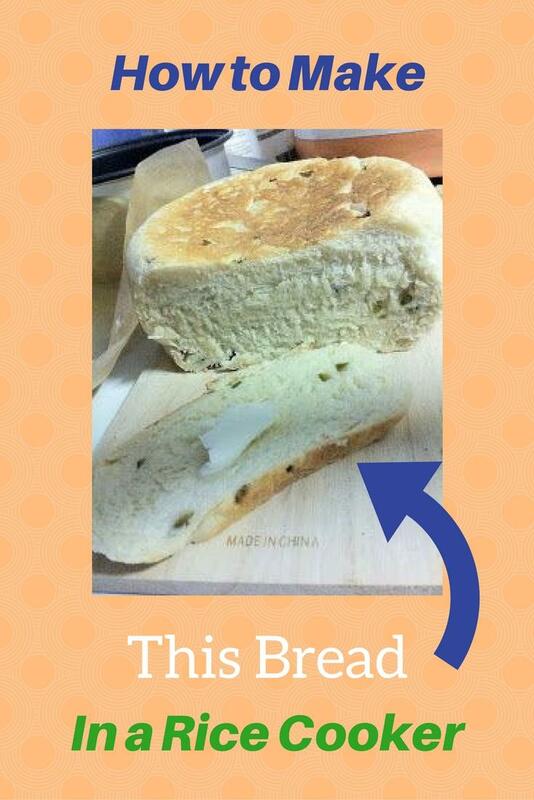 Look at this loaf of Jalapeno bread. It’s delicious and it’s made in a rice cooker (see here). If you have a small kitchen, or you just have too many appliances already, then why buy a bread maker if you can get great results in a rice cooker. This is a recipe for Jalapeno Bread but you can always leave out the jalapenos if you want to make it plain. Give it a try and you’ll be pleasantly surprised by the results. During some weeks I cook more chickpeas for meals than I do rice. Once you know how to cook them in the rice cooker you’ll actually eat more of these healthy ingredients. It’s so easy and then you can use the chickpeas in meals or to make hummus dip. The great thing about cooked chickpeas is that you can freeze them in 1 cup quantities, ready to use. With the distraction of children I often forget to cook beans ahead of time for a recipe. By having them in the freezer I don’t need to resort to canned chickpeas. Cooking them yourself is cheaper and much healthier because they’re not stored in BPA-lined cans. I can add chickpeas to almost any meal. I admit I’m addicted to them. Maybe it’s because they are great for leveling out your blood-sugar levels. Maybe it’s because they’re high fiber and low fat. Or maybe it’s just because I can add them as easily to a salad or a cooked meal and it saves me having to reinvent the wheel for every meal. Here is the method to cook your beans. With so many ideas for recipes apart from rice you’ve got no excuse. Get the rice cooker out of the cupboard and start using it for lots of different recipes. Try something new. Try baking a cake, try making yogurt, what about that Mac and Cheese, yum. Start with easy meals like the time saving pasta dinner recipe or one of the other simple rice cooker recipes. You can even experiment with adapting your own recipes to make them in the rice cooker. It’s such a wonderful way to save space in the kitchen by finding multiple uses. Follow My Food, Family Meals and Meal Planning Board on Pinterest.